The Saraswati Homa (Fire Lab) invokes the Goddess of wisdom and knowledge as the chief archetype. She is the personification of intelligence, memory power, logic and reasoning skills. Achieve success in literary pursuits, academics and other spheres of learning with the blessings of the Divine Mother who can remove all obstacles in your path to success. You can feel the positive vibrations from the homa resonate through your being, uplifting your creative abilities. Bring out the best from within yourself and be an inspiration for others to achieve their true potential. 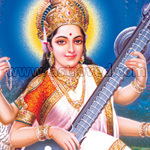 The Saraswati Fire Lab is a unique ritual that can endow you with the potential and confidence to achieve incredible success in all facets of education, knowledge, music and learning. Experience renewed vim and vigor and hone your skill sets to come out with flying colors in all that you undertake. 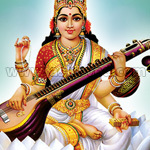 Connect with Goddess Saraswati to overcome obstacles, achieve milestones and attain success in all that you wish. 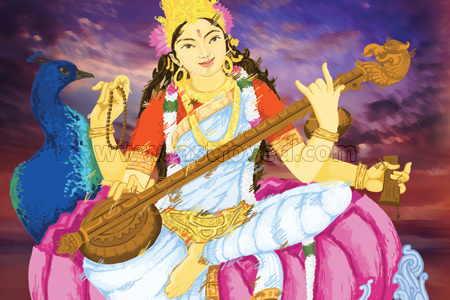 Why perform the Saraswati Homa? The Saraswati Homa is performed by our expert Vedic priests with significant years of experience in performing the ritual, as the ritual invokes the Mother of Knowledge. 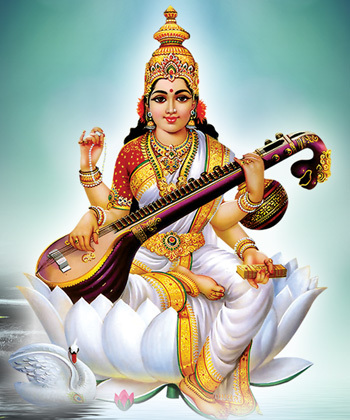 Goddess Saraswati can instill confidence in the individual to accomplish great success. 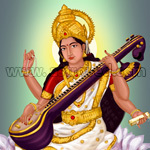 The Goddess of intelligence, memory power and other soft skills, she can bestow you the power to stand unique among the other thousands of people around. This ceremony will be performed with absolute surrender and humility, by chanting the prescribed mantras. This Saraswati homa (Fire Lab) performed for 3 months, once a month, invokes the blessings of Goddess of Knowledge, Saraswati. This homa is targeted to enhance intelligence, memory power, logic and reasoning skills. It can also help remove impediments that are blocking your successful accomplishments in academics. This Saraswati homa (Fire Lab) performed for 6 months, once a month, invokes the blessings of Goddess of Knowledge, Saraswati. This homa is targeted to enhance intelligence, memory power, logic and reasoning skills. It can also help remove impediments that are blocking your successful accomplishments in academics. This Saraswati homa (Fire Lab) performed for 12 months, once a month, invokes the blessings of Goddess of Knowledge, Saraswati. 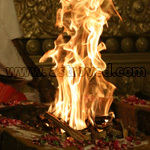 This homa is targeted to enhance intelligence, memory power, logic and reasoning skills. It can also help remove impediments that are blocking your successful accomplishments in academics.